Get free advice and estimates from landscapers in your city. Fertilization and the ongoing maintenance of your lawn are important considerations when designing your outdoor living space. While both organic and synthetic fertilizers 1 play a role in keeping your lawn looking green, each has benefits and drawbacks. In the sections below, we explain the significant differences to help you decide which product is better for you. Organic and synthetic fertilizers 1 release nutrients into the soil that plants need to ensure health and continued growth, but the primary compounds in each product are different. Organic fertilizers 2 are made from natural ingredients like plant and animal waste products and powdered minerals. Source material may include manure 2, bone meal, corn meal, or compost 2. The process these materials go through is not organic, but instead, the term organic refers to the ingredients used to make the product and reflects that they have been minimally processed. Synthetic fertilizers 1 are a manufactured product that is the result of chemical processing. These products are made from refined chemical products that have been extracted to provide consistent ratios of nutrients. Typically, these are sourced from petrochemical products, rocks, or even organic material, but they are highly processed to guarantee consistency of the product’s ingredients. One of the important variables in determining the appearance of your lawn and other plants that you fertilize is the health of your soil. Organic fertilizers work by breaking down and releasing their nutrients, adding microorganisms and other nutrients as they decompose. These fertilizers ultimately build the quality and texture of your soil which contributes to overall plant health. Organic fertilizers also improve the soil’s water retention, but the fertilizer will need to be reapplied to maintain this benefit. Synthetic fertilizers quickly release a predetermined quantity of chemically-based nutrients to the soil, but they do little to improve its overall health. In many cases, these products can damage your soil because they do not replace the vital nutrients used. After repeated application of synthetic fertilizers, the soil may be depleted of essential nutrients and become infertile, requiring a full replacement. Synthetic fertilizers can drain away from the soil, which is called leaching, when mixed with water, and may result in applying the fertilizer multiple times in a single growing season. While both types of fertilizer require effort to apply, synthetic products are often faster. These can be administered either as spray-style liquid product or in small pellets that are spread quickly over large areas. The fertilizer is left on top of the soil and will break down when water is applied. Organic products require more effort as they need to be worked into the soil to break down and release the nutrients. This can be time-consuming and physically demanding if you are looking to cover a large area like a garden or lawn. Organic fertilizers are best utilized in areas where children and pets play or where food is grown. 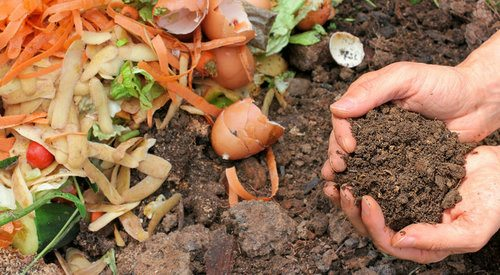 Using an organic fertilizer in a food garden can improve the quality of the fruits and vegetables grown because of the reduced exposure to toxic chemicals. The use of synthetic fertilizers is best in low-traffic areas like front lawns or other high-profile areas when rapid results are needed. Synthetic fertilizers are also best used in areas where there is limited water runoff so that you do not need to continually reapply the fertilizer throughout the growing season. A professional lawn care contractor will charge between $50 and $80 on average to apply fertilizer to an 8,000 square foot yard. This number fluctuates depending on whether you choose an organic or synthetic fertilizer. Most contractors charge a set price based on the services provided and the size of the area. If the contractor charges hourly rates, then expect to pay on average $65 per hour. An average 8,000 square foot lawn will cost between $50 and $95 for the application of the organic fertilizer. If you choose a synthetic fertilizer, then expect the cost to be between $25 and $80. Other factors that impact the cost of fertilizer application are whether a liquid or granular fertilizer is used or if a fast-acting or slow-release formula is chosen. Organic fertilizers work by slowly breaking down over the growing season and adding nutrients to the soil. Nutrients stay in their natural form, which is more time-consuming. These types of fertilizers require warmth and moisture to work properly, so they are limited by the weather and can only be used in late spring through early fall. Synthetic fertilizers 1 are available in fast-acting and slow-release formulas that provide different results. Fast-acting formulas provide nutrients to the soil immediately and can stimulate plant growth quickly, but they do not last long and will likely need to be reapplied to continue seeing the same results. These products can build toxic concentrations of nutrients that result in plant death. Slow-release formulas gradually break down over a longer period, but the nutrients are not available immediately and require more water. Synthetic fertilizers are produced to have a specific ratio of potassium, phosphorus, and nitrogen and different fertilizer products have various ratios of these nutrients. Packaging is clearly labeled with the specific composition of the product. To determine how much fertilizer to add to the soil conduct a pH test using a kit that can be bought at a local hardware store. The ideal soil pH is between 6.0 and 7.0. 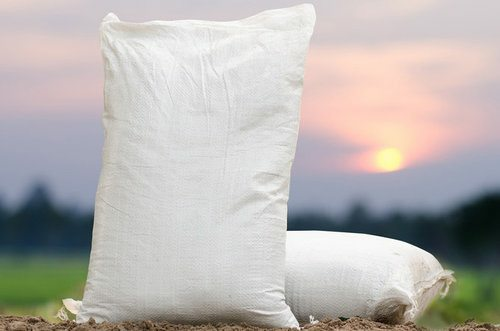 Organic fertilizers have lower ratios of nutrients, and because these products are not processed, the exact quantity and ratio cannot be guaranteed. These products are not the best choice if you are looking to correct your soil’s pH balance quickly or for consistent nutrient ratios. Organic fertilizers are environmentally friendly, renewable, biodegradable, and sustainable. As these products are made from unprocessed, natural ingredients like manure, compost 2, or corn meal, organic fertilizers are one of the best solutions for creating a healthy environment for plants to grow. Often, organic fertilizers are sourced locally and can be purchased in large quantities from farms, greenhouses, and other livestock or farm operations, reducing the environmental footprint even further. Synthetic fertilizers are made from a variety of different products including rock salts and petroleum products that are heavily processed to ensure consistency in the ratio of nutrients. The processing is potentially damaging to the environment because it requires additional chemical inputs and the use of more water. Repeated use of synthetic fertilizers may result in the buildup of toxic chemicals, like arsenic and uranium, which creates a hazard to people, pets, and plants. A natural substance derived from plant, animal, or mineral matter that is added to soil in order to make it more fertile.